Goodreads says, "Memorial Day weekend means that seasonal visitors have descended on the glamorous island of Nantucket. For year-round resident Darcy Cotterill, it means late-night stargazing in the backyard of the beautiful house she grew up in and inherited from her beloved grandmother. It s also Darcy s chance to hit the beach and meet her new summertime neighbors. But the last person the thirty-year-old librarian expects to see staying next door is her ex-husband, Boyz, along with his wife, Autumn, and stepdaughter, Willow. Darcy must also navigate the highs and lows of a new romantic relationship with local carpenter Nash Forester even as she becomes smitten with handsome vacationer Clive Rush, a musicologist in town to write a book and visit family. And she finds herself pulled into the concerns of Boyz, Autumn, a charming elderly neighbor, and an at-risk teen. As the season nears its end, Darcy must decide her next move: retreating to the comforts of her steady and secure island life, or risking it all for a chance at true happiness." Darcy grew up on idyllic Nantucket with her grandmother and since her grandmother's passing, she has inherited their family home. After her whirlwind romance and subsequent divorce from her ex-husband and real estate mogul, Boyz, she finds herself back at home on Nantucket starting over. Darcy is the town's librarian, she is dating a gorgeous carpenter, and has a group of friends. Everything seems to be going well for her until summertime comes and she is out in her garden, where she spends a lot of her time and she realizes her ex-husband and his new family has rented the house behind hers. Cue all the drama. Things get even more complicated when she overhears Willow, Boyz's stepdaughter, canoodling with the local thug/drug addict. Should she report this to her ex-husband and his new wife? Is she obligated to since Willow is underage? Predictably, things don't go well when Darcy confronts Boyz regarding his step-daughter's escapades, but as the summer goes on, Darcy is surprised to find that Willow is a delightful young girl that just needs some guidance. This summer Darcy is also is grappling with her feelings about Nash, her carpenter boyfriend. Is he feeling the same way about her? Darcy's story in Secrets in Summer by Nancy Thayer is the perfect summertime diversion. There's family secrets, a romance, and strong female friendships all set on the gorgeous island of Nantucket. I really enjoyed Darcy form the get-go in Secrets in Summer. She's a librarian and a big-time book worm; what's not to love? But some of her decisions were just so ridiculous. (More on that later.) I did feel for her regarding her complicated relationship with Boyz and I desperately wanted her to get away from him. He is is horrible! And when he shows on Nantucket right by her house with his new family, it was pretty much a nightmare. 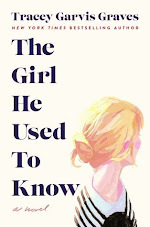 Even though Darcy claims to be "over" Boyz, having him there was sort of a constant reminder of her former life. The reason why I didn't give this Secrets in Summer four stars was for the simple fact that I couldn't get behind Darcy's friendship with Willow. It was weird. I mean it's her ex-husband's new wife's daughter. Willow's mother is the woman who stole her former husband away and even though Darcy is "over" it all, I just couldn't fathom her having a meaningful relationship with Willow. It would be too complicated, right? She goes above and beyond what I think a woman in her situation should do for an adolescent that needs guidance. It was all just a little too much. Once I got past some of the issues surrounding her ex-husband's family, I fell in love with the Nantucket setting in Secrets in Summer. Thayer truly knows Nantucket. 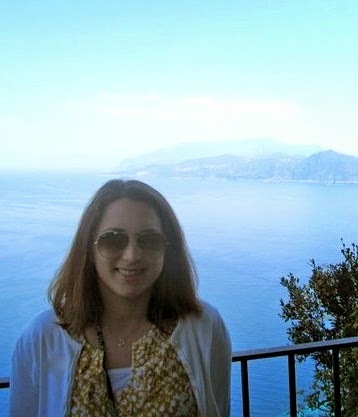 Her descriptions of the beaches, the restaurants, Darcy's garden, and the adorable library were fantastic. Every time Darcy brought her wine or fabulous dinner outside to her garden and gazed at the stars or read a book on her chair, I wanted to be there right along side of her. Darcy's summer crew, minus Boyz's family, were all very interesting in Secrets in Summer. Mimi, the elderly woman next door, stole my heart and Susan, the overworked and under appreciated mother of three boys was also an interesting character that was renting the house a few doors down. I liked how the women, although different ages and from various different backgrounds, all sort of banded together for the summer. Lastly, the character of Nash was one of my favorites and Darcy's romance with him was also well done. I truly didn't understand why she didn't fully commit to him sooner; he's perfect! Secrets in Summer is a breezy, fluffy beach read and I say that as a compliment. 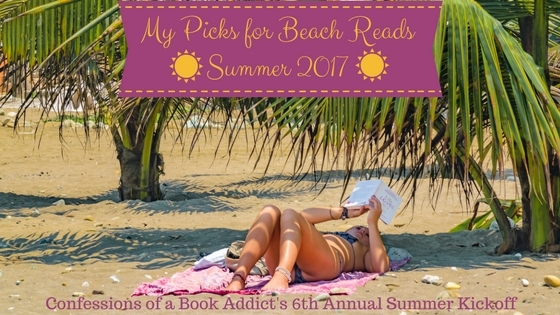 It would be the perfect way to spend the afternoon or the ideal book to throw in your beach bag this summer. 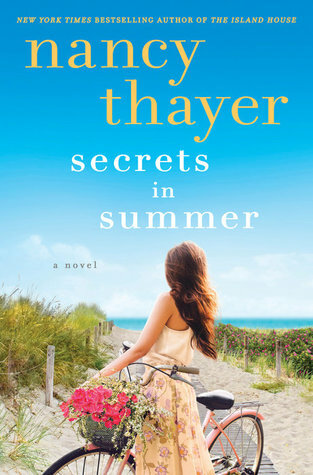 One thing is for sure, Nancy Thayer really knows Nantucket and you can count on her for an enjoyable beach read. I am glad that you liked the book. I am starting to read her books. Hoping to get at least two of her books read this summer. Her books are perfect for the summer and the Nantucket setting has me wanting to go visit. I hope you enjoy her books, Viki. Thanks for visiting! I love reading books about librarians :) The setting also sounds really appealing but what makes me hesitate is that the description makes it sound like there is a love triangle and there definitely seems to be a lot of drama going on. I may check it out from the library sometime this summer though. Thanks for your review! Yes, there is a small love triangle, but it isn't the focus of the novel and it isn't a very strong one, so I definitely overlooked it. There's definitely a lot of drama going on for sure. Thanks for visiting, Christina!